Juno programme officials hold a news conference at NASA’s Jet Propulsion Laboratory following the successful orbital insertion of the space probe around the gas giant Jupiter. 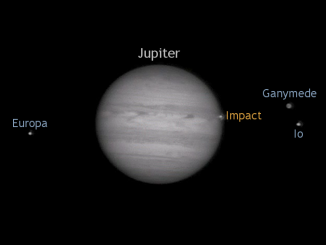 Unbeknown to two European amateur astronomers 1000 miles apart capturing video of Jupiter through their telescopes in the early hours of Thursday, 17 March, their digital footage would subsequently show confirmation of a totally unexpected phenomenon — the likely impact of a small comet or asteroid on the edge of the solar system’s largest planet. 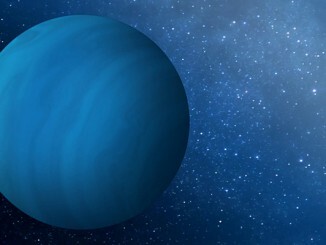 The existence of a fifth giant gas planet at the time of the solar system’s formation — in addition to Jupiter, Saturn, Uranus and Neptune that we know of today — was first proposed in 2011. Now astrophysicists at the University of Toronto have found that a close encounter with Jupiter about four billion years ago may have resulted in the fifth giant planet’s ejection from the solar system altogether. 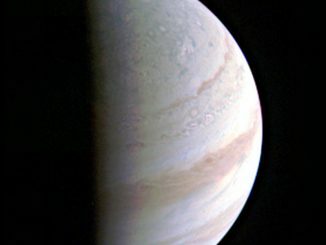 Nearly two months after NASA’s Juno spacecraft slipped into orbit around Jupiter, the solar-powered probe made a passage 4,200 kilometres over the giant planet’s colourful banded clouds Saturday, the closest planned encounter during its 20-month exploration of the solar system’s largest world.